Research co-authored by APEM’s head of ornithology tracked the movement of lesser black-backed gulls in and around offshore windfarms. 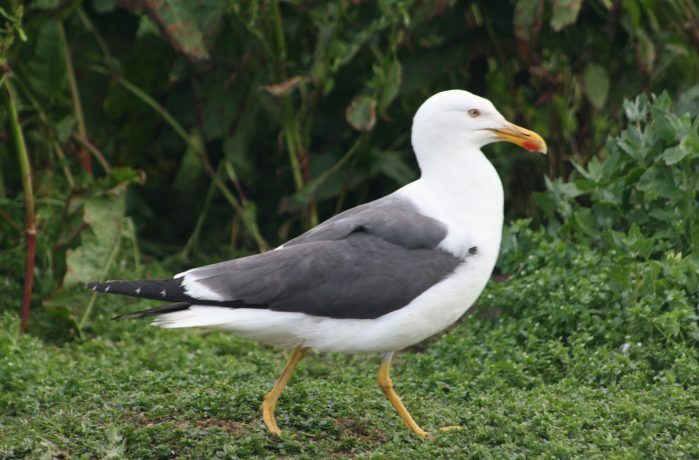 It used state-of-the-art GPS tags to show how the gulls, breeding at a protected site in Suffolk, used areas of sea where offshore wind farms already exist and where future developments are earmarked. Offshore windfarms are a key part of the government’s plan to obtain 15 per cent of the UK’s energy from renewable sources by 2020. It is therefore important to properly assess and quantify the impact that such developments could have on marine wildlife and habitats. APEM’s chief ornithologist, Dr Mark Rehfisch, formerly worked with the British Trust for Ornithology (BTO) for 21 years. Whilst there he heard about advanced new bird tags developed by the University of Amsterdam and approached the university to help set up the research project. The BTO tracked twenty-five birds in three consecutive summers and found that gulls visited offshore wind farm areas significantly more in some years than in others. In every year, birds spent more time in wind farms zones when their chicks were young than at other times in the breeding season. Males also spent more time in wind farm zones than females later on in the breeding season, when chicks were growing bigger and more independent. Dr Rehfisch said: “This project would have been impossible a decade ago. This newly available GPS tag technology makes it possible to understand how birds interact with windfarm developments over several years and in a three-dimensional space that includes flight height. “Combined with population surveys, such tags allow us to collect the facts needed to properly understand the likely effect of windfarm developments on birds and to replace the often overly-precautionary guesses of the potential impacts with facts. The paper is published in Biological Conservation.